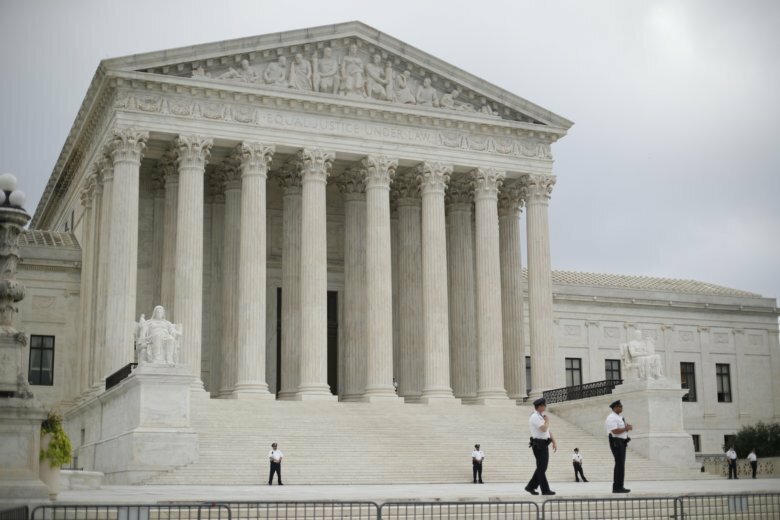 NEW ORLEANS (AP) — The U.S. Supreme Court rejected an appeal Tuesday from a man convicted of joining a New Orleans police officer in the killing of her fellow officer and two other people during a 1995 restaurant robbery. The justices declined to review a Louisiana Supreme Court ruling that upheld Roger LaCaze’s three first-degree murder convictions. Lawyers for LaCaze said the judge should have stepped aside from the trial because of an appearance of possible impropriety. The judge’s signature is on a form that the officer convicted in the killings, Antoinette Frank, used to obtain a handgun from the police evidence room. The judge denied that the signature was his. Authorities believe the weapon may have been used in the killings. But prosecutors say it was never proven that the gun was the murder weapon. They said the judge had no need to step aside because he did nothing wrong. Frank’s arrest for the murders rocked a police department already plagued by scandal in the 1990s. Prosecutors said she and LaCaze murdered officer Ronald Williams II, Ha Vu and her brother, Cuong Vu. The Vus’ parents owned the Kim Anh Restaurant in eastern New Orleans, and both Frank and Williams moonlighted there as security guards at times. Frank left the restaurant after the shootings and returned later under the guise of bringing help, a detective said at the time. But other Vu family members who hid in a large cooler during the rampage, identified her when she returned. Frank is on death row for the killings. LaCaze, who has long denied taking part in the killings, is serving a life sentence.